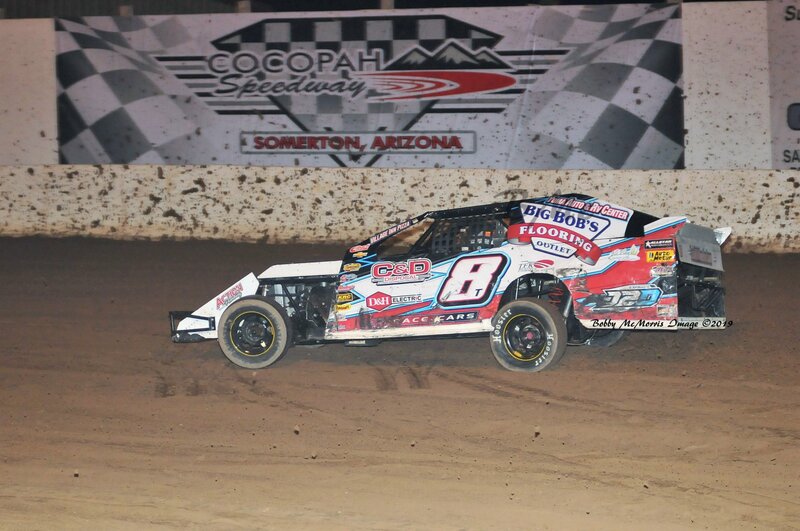 The Cocopah Speedway Fire & Rescue Team provides fire suppression, medical treatment and oversees all safety aspects for Cocopah Speedway. The team is made up of professional firefighters from the Somerton/Cocopah Fire Department. All of our firefighters are at a minimum state certified as Emergency Medical Technicians, Fire fighter I, Fire fighter II and extrication tool operators. These personnel also are required to maintain certifications by attending numerous hours of continuing education each year. We are proud of our team, these certifications and having this quality of trained professionals taking care of the drivers, pit crews and fans. The team has two vehicles at its disposal. Both will be staged in the speedway infield. Rescue 1 is equipped as follows: Jaws of Life; ABC extinguishers; PW can foam and water extinguisher; scene lighting, MSA breathing apparatus; backboards and cervical spine equipment; 500 gallon tank with foam; basic life support trauma bag and basic life support airway kit. Rescue 2, the smaller of the two, will be equipped with ABC extinguishers and PW extinguishers with foam. In addition to these professionals, we will have an ambulance at all race events should it be needed by drivers, pit crews or fans. Thank you to the firefighters from the Somerton/Cocopah Fire Department which make up the Cocopah Speedway Fire & Rescue Team. 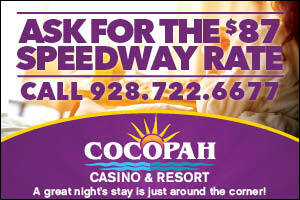 We hope that you enjoy your next visit to Cocopah Speedway, the Diamond in the Desert. 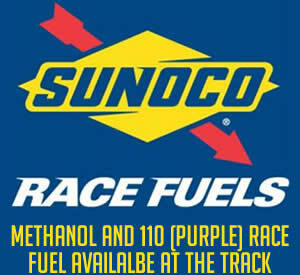 Cocopah Speedway and its racers are proudly protected by Cold Fire fire suppressing agent!